We’ve already described what is hidden behind subscriptions and recurring payments and how to implement this approach with the help of various Magento extensions here: Subscriptions and Recurring Payments Magento Extensions; and today it’s time to tell a few words about appropriate Magento 2 modules as well as the destiny of Recurring Profile in Magento 2. 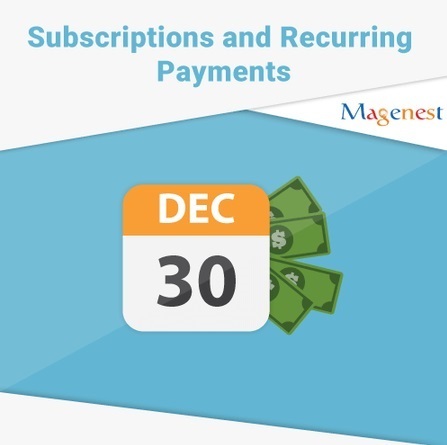 If you’ve missed our post about subscriptions and recurring payments in Magento 1, then we will provide a brief overview of the technology. Although Magento 1.x enables you to use subscriptions and recurring payments, there are lots of third-party modules available in the ecosystem. Unfortunately, the default recurring functionality is limited, but you can easily solve this problem with the help of a more robust extension. But what is the purpose of this approach to payments? By implementing subscriptions and recurring payments, you allow your customers to buy goods on your ecommerce website automatically on the basis of subscriptions. Note that subscriptions and recurring payments are often used in case of 2 different categories of goods: pet food, toiletries, water, and other products that constantly run out; newspapers, magazines, collectibles, and other products that come in new editions. The implementation of this approach helps to improve user experience significantly, because your customers no longer have to go through the buying process each time they want to purchase something they’ve already ordered on your website. As a Magento merchant, you get the most convenient and low-cost way to accept recurring payments. Furthermore, repetitive purchases mean that you get regular customers. Although Magento 1.x utilizes Recurring Profiles to implement subscriptions, there are quirks and limitations that do not let you fully leverage the technology. Therefore, we’ve gathered the best subscriptions and recurring payments modules in the aforementioned post. As for Magento 2, it does not even include any subscription or recurring payment functionality by default, so the usage of third-party extensions is inevitable in case you want to accept recurring payments. This may change in the future, but now we propose you to check the following subscriptions and recurring payments Magento 2 extensions. This Magento 2 extension allows you to create flexible subscriptions for various products and services. The extension allows to add several products to a single subscription as well as set trial and initial fees on a single subscription basis. Furthermore, mass actions are available, so creating subscription products won’t take too much time and effort. It is also worth mentioning that the aheadWorks Subscription & Recurring Payments extension supports PayPal Express checkout. Let’s figure out how the module works. After installing the Subscription & Recurring Payments Magento 2 extension, you get a perfect opportunity to enhance the default shopping experience with subscription options. These options can be added to literally every product on your Magento 2 store. 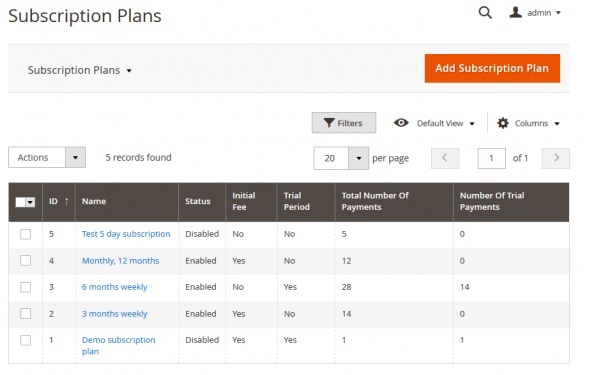 Note that all subscription plans are highly adjustable, so you or your administrators can offer the most convenient conditions, such as delivery options, subscription start date, initial fees, trial period, etc. Furthermore, customers even can subscribe for daily, weekly, or monthly supplies. As for the aforementioned PayPal support, the extension creates a recurring billing profile on the PayPal side every time a subscription is purchased. It is also necessary to tell a few words about the customer side. Your buyers get a special section in a customer account which is fully dedicated to subscriptions and recurring payments. The aheadWorks extension adds all options necessary to provide seamless shopping experience. Once the subscription is active, the extension charges customers automatically. The same is about orders: they are placed according to the subscription plans set. And the extension is mobile-friendly! Adaptive Subscriptions by Paradox Labs is a solution designed to implement subscriptions in Magento 2. The company already has a great experience in Recurring Profiles of Magento 1.x, and its new system overcomes limitations available in the first version of our favorite ecommerce platform. Besides, it meets a lot of new business requirements that recurring profiles were never capable of, but is $699 a reasonable price? Below, we will provide all pros and cons of the extension, so you will easily get the answer. Paradox Labs claims that Adaptive Subscriptions for Magento 2 is not SaaS, so there are no ongoing fees and you can modify the extension as wish. The price still seems unreasonable, but it’s just the beginning of our review. 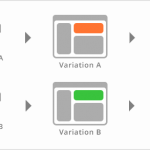 Adaptive Subscriptions can handle a recurring revenue model even if it is not supported out-of-box (and it isn’t), but all subscriptions and recurring payments Magento 2 extensions are in the same conditions, so let’s figure out the module’s core features. The extension enables customers to choose whether to purchase an item as a subscription or not. As a Magento 2 owner, you can disable this functionality. The feature seems to be unique, since it is not represented in all Magento modules, but it is still not enough to pay $699. 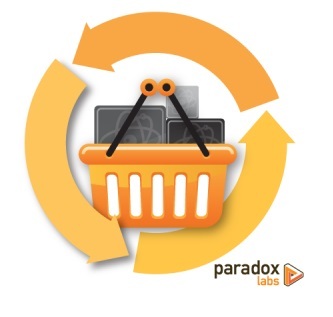 Paradox Labs Adaptive Subscriptions provides customers with the ability to choose the subscription frequency, but you can turn off this feature if necessary – a quite common practice in case of appropriate Magento 1.x modules. 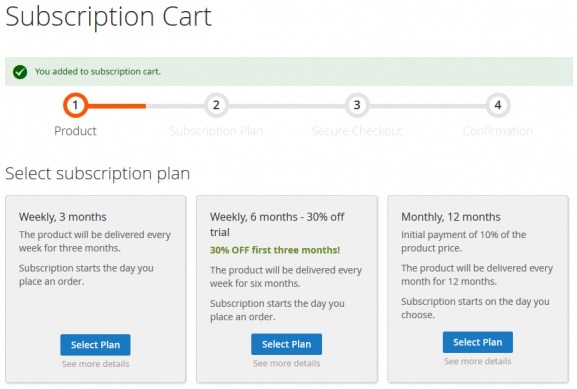 Your customers are free to buy any number of subscriptions and non-subscription items simultaneously. This feature is available in the most advanced Magento 1 recurring payment modules, but the most expensive one costs about $300. 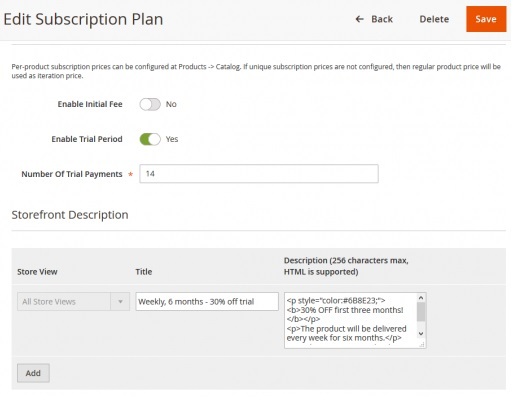 As a merchant, you can provide customers with a discount for buying subscriptions, choose how to charge customers for their first installment, define a length of a subscription (it can be indefinite), and choose whether customers can pause or even cancel their subscriptions. All these features seem to be very common, but the price is still very unusual. The Paradox Labs Adaptive Subscriptions Magento 2 extension supports such products as simple, configurable, virtual, and downloadable. This minimum is represented in all other modules, but there is a tool that lets customers subscribe to any content of a shopping cart. Unfortunately, Adaptive Subscriptions doesn’t do that. 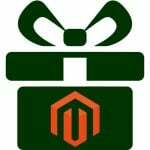 You can enable your customers to use coupons and discounts for the first installment, but it seems that both features are far from being the best in the industry, because some Magento 1 modules offer more advanced functionality for the same area. But there are some useful and unique features available in Paradox Labs Adaptive Subscriptions. For instance, you can group same-day subscriptions to ship several different ones that run at the same time and belong to one customer. 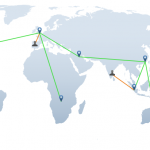 The feature helps to save time and money necessary for covering shipping costs. As for shipping, all shipping methods are supported. Furthermore, rates are recalculated every time a subscription runs. Consequently, the Paradox Labs Adaptive Subscriptions Magento 2 extension saves you from expenditures caused by flat-rate shipping. This feature is quite rare, but is it enough to justify the price? The module keeps you informed if a subscription fails by sending an email. Besides, it keeps your customers informed about invalid payment information. A robust notification system is a must have feature of every subscription Magento 2 module, so it doesn’t make the module by Paradox Labs much better than its counterparts. 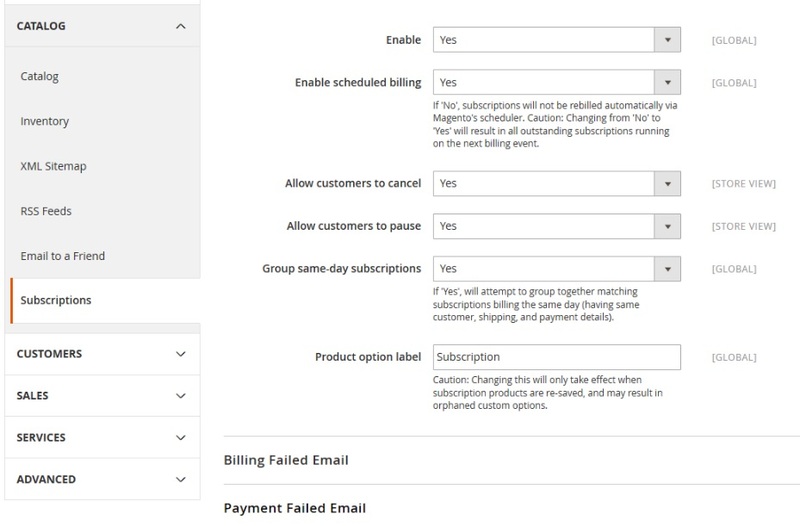 The company also highlights that the admin grid of Adaptive Subscriptions lets you track subscription statuses, changes, billing information, and recent failures – the functionality is quite common for other Magento 2 modules. What sounds really interesting is the complete control over the way subscriptions are billed. Although this process runs automatically by an hourly scheduled task, you can do everything manually, triggering billing from the command line or selecting individual subscriptions from the admin grid. 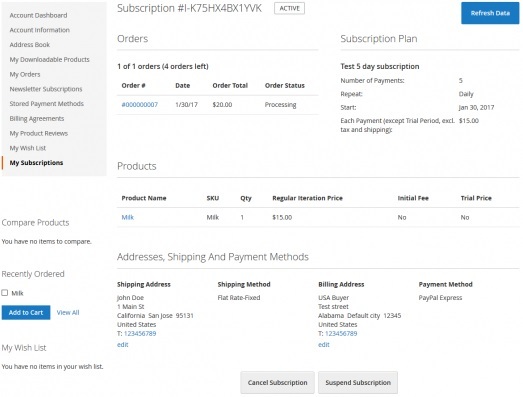 This approach helps you completely customize the way subscriptions are billed in accordance to your ecommerce needs. 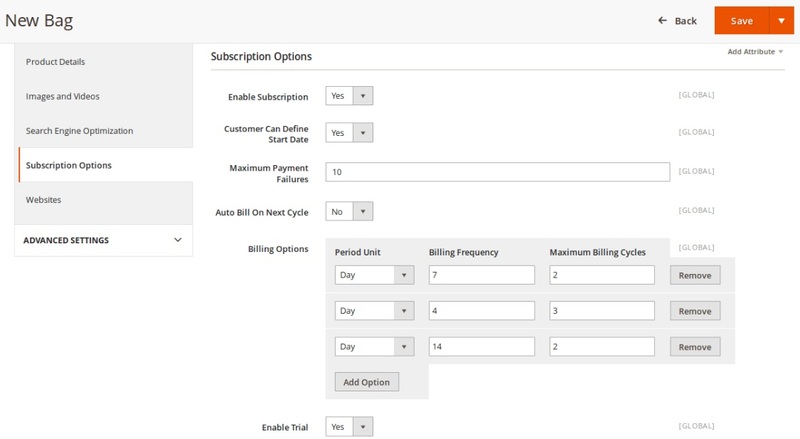 Furthermore, the Adaptive Subscriptions Magento 2 extension provides you with the ability to change the next billing date and each subscription frequency right in the Magento 2 admin. As for customers, they can view the status of their own subscriptions as well as update such data as billing and shipping information. But it’s not a competitive advantage – it’s a mandatory requirement for every subscriptions and recurring payments Magento 2 extension. Now, let’s have a look at limitations of the Adaptive Subscriptions Magento 2 extension. Currently, the extension works with only one payment gateway: ParadoxLabs Authorize.Net CIM. The appropriate extension costs $279, so you’ll have to pay $978 to implement subscriptions and recurring payments with Paradox Labs. Support for multiple currencies is limited. The same is about multilingual support. It is impossible to have a $0.00 order total. Now, take all these limitations and features mentioned above into consideration and compare them with the price of the module – $699, and the price of only one supported gateway – $279. The extension no longer looks friendly, but let’s see what its closest competitor offers. The popularity of subscription products is rapidly growing, and to go up with the time Magenest offers its own module for this area. 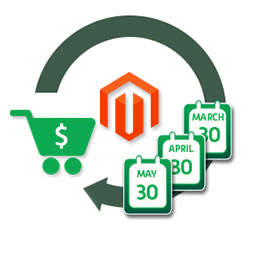 The Subscriptions and Recurring Payments Magento 2 extension is designed for the seamless integration and management of subscription products on the basis of Magento 2. But what are its core features? Full control over recurring options. As a Magento 2 admin, you can easily specify the number of maximum payment failures, enable auto billing on the next cycle, manage multiple billing options (such as Period Unit, Billing Frequency, and Maximum Billing Cycles), enable and manage trial period, as well as turn on Initial Fee and set its amount. Products with the enabled recurring feature lead to recurring profile creation after checkout. All recurring profiles can be managed under Magenest Subscription -> Recurring Profiles. 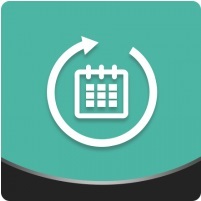 Customers can choose such parameters as Billing Cycle, Unit Recurring Payment, and Start Date as well as manage subscription related orders at My Recurring Profiles. The extension works with PayPal on checkout, so you don’t have to spend additional money on purchasing a new gateway. As you can see, Magenest Subscriptions and Recurring Payments Magento 2 Extension is a little bit limited in comparison to Adaptive Subscriptions for Magento 2 by Paradox Labs, but at the same time it is almost 4 times cheaper and works with PayPal instead of a limited gateway by Paradox Labs. The Magento 2 ecosystem currently offers only 2 extensions which are far from being perfect especially if you are already familiar with appropriate Magento 1.x modules. Therefore, we recommend you not to hurry up with the purchase. Here at Firebear Studio, we are constantly monitoring the ecosystem trying to find the latest extensions and review their functionality and features, so this post will be updated as soon as new subscriptions and recurring payments Magento 2 extensions are available.